Before last night's showing there was an informative presentation by Pamela and Dawn from Nairn's Citizens' Advice Bureau. What they had to say was shocking in its own right. Nairn may look prosperous to holiday makers or anyone passing through but for many of our fellow citizens poverty is a daily reality. 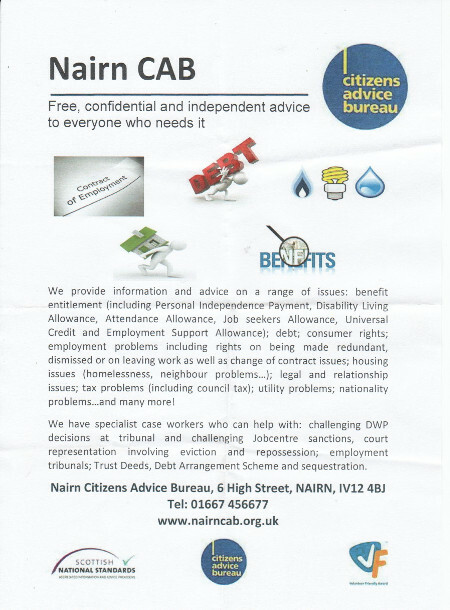 In the last 12 months Nairn CAB has dealt with 5,439 enquiries and 51% of those enquiries were benefit related. In the past 12 months, the CAB has issued 193 Food Bank Vouchers. This is a last resort after they have exhausted all other options to help clients maximise their income of obtain crisis finanacial assistance. Please find the time to read a little more and find out what Pam and Dawn had to say and how perhaps you could help our local CAB with your existing skills or with training from the local branch. "Firstly, thank you to Colin Macaulay for inviting us to speak before tonight's showing of I, Daniel Blake. I'm Pamela and I am the volunteer support worker at the bureau. Myself and a number of colleagues came to see the film at the last showing. And I can assure you that the portrayal of a man falling through the cracks of the benefit system you are about to see is in no way an exaggeration of the types of situation some of our clients find themselves in here in Nairn. I actually think it should be obligatory viewing for everyone. This film may make you laugh, cry and it may make you angry. You will see why anyone who has ever tried to deal with the DWP on the telephone has developed a life long aversion to the The Four Seasons by Vivaldi. It shows that our current benefits system is flawed and often injust. But it also shows that not all DWP employees are “the enemy”. Many of them want to help their clients as much as we do, and without the strong links we at Nairn CAB have with members of staff and Inverness Job Centre, the Job Club, local Housing Officers, social landlords and our links with all departments at Nairn Town and County hospital through our outreach project, and many, many other partner agencies, our clients would be considerably worse off. 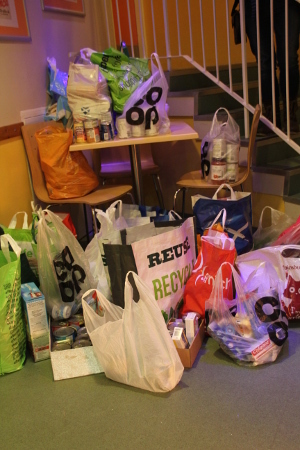 A special thank you must go to the volunteers at Blythswood Foodbank. I have visited the foodbank on a number of occasions and can attest that the volunteers are so welcoming, so friendly and empathise so strongly with the people referred to them. Like us, they know that once you are struck in the trap of poverty, it is difficult to escape the cycle, and time and time again they offer an invaluable service to users who find themselves and their families in dire straits. " "Hello, I'm, Dawn – I am a welfare rights worker in the Bureau. I deal with more complex casework and help people to challenge benefit decisions. Since I started with the bureau, more than 5 years ago, I have witnessed many changes to the welfare system. Each change designed to simplify and improve. In reality the changes have served to create a system that is harder to access and harder to understand. This film looks at one benefit – Employment and Support Allowance. Since the time of this film, Universal Credit is being rolled out across the country and will eventually be the only means tested benefit for people of working age regardless of their circumstances. Inverness Jobcentre is amongst the first to have gone live for the full service. Unfortunately, this means that people living in the Inverness Jobcentre area who claim benefit are subject to the teething problems associated with this new benefit. Situations that could lead to a claim for Universal Credit: include being made redundant; becoming too poorly to work; being a carer; or being in work but on a low income. The amount of complex casework continues to increase while the options open to people become more and more limited. That said – it is of the utmost importance that people do get advice and do challenge decisions. One of our key roles is to help people understand their rights and responsibilities. The options are more limited but people do still have options. We can identify possible benefit entitlement and support people through the claim process. If an initial claim is unsuccessful we can help people challenge the decision all the way to an independent tribunal if necessary. There is everything to be gained by taking action – people who appeal a benefit decision have more than a 70% chance of success if they get help. If you are affected by any of the issues raised in the film tonight, or know someone who is, please take action – get advice or urge your friend or family member to to get advice. 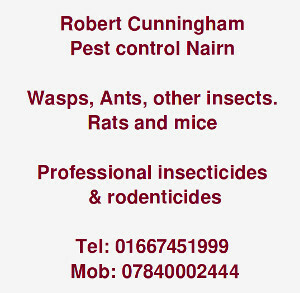 We have placed a flyer with details of our service on every chair." Pamela then finished the presentation. "In the past 12 months we have verified client financial gain of £1,480,000 . That sum is made up not only of the benefits that we have helped people claim, but through helping clients get the money they are owed by employers, challenging debt liability, resolving consumer disputes, saving money on their energy bills and so much more. We are free, impartial, independent and confidential. 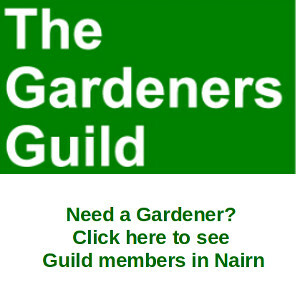 So, if you leave here at the end of the film feeling that you want to challenge injustice, if you want to give something back to your community, if you want to learn new skills or put the skills you already have to good use, consider volunteering with Nairn CAB. 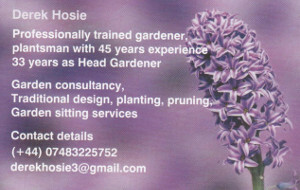 Pop in, ask for me and find out more about what we do and how we do it. Our spring recruitment campaign is on now, we can provide you with accredited training and will welcome you to become part of our friendly, supportive and dynamic team. Our volunteers make a difference. Do you want to make a difference too? By the end of this film, perhaps you will. Enjoy it, think about it, tell others about it. And tell them about Nairn CAB too." Yes Doc spot on, half of the funds raised have been used to supply food to Nairn Cares and the donations of food so far have been split between them and Blythswood. Thanks for that anon 8.50. I think there is the official position and then the reality perhaps? Personally glad that we have two foodbanks in Nairn now and the different methods used will reach more people perhaps.